Home Assassinations Meria With Jesse Ventura – Uncensored! 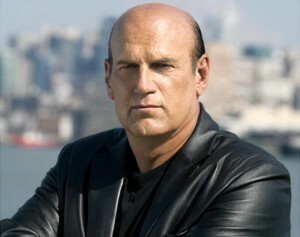 4/7/11 Meria interviews Jesse Ventura on his latest book “63 Documents the Government Doesn’t Want You To Read”. Hear Jesse like you don’t hear him anywhere else – uncensored, real and quite a few laughs too. Hold the govt accountable;stolen elections of 2000 & 2004; HAARP & Japan;Wikileaks;Bradley Manning; Libya;govt secrecy-where’s the transparency? 9/11/01 – standard operating procedures abandoned; April Gallop; Rumsfeld at the Pentagon;Pentagon is a no fly zone, why no shoot down? the murder of JFK – “The Big Event” -Howard Hunt; Jesse stopped by Joy Behar from using the word Nazi; the false flag of the Gulf of Tonkin; abolish all political parties; banned books in the U.S.; Executive action;fluoride-water-prozac;honeybees and pesticides and much more. 3 Responses to "Meria With Jesse Ventura – Uncensored!" I’m not sure and don’t know who does his research for him.